We are grateful for your generous support. 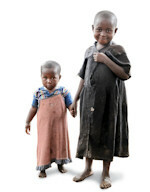 Your donation is used wisely, is accounted for, and is channelled to benefit children and families living in poverty. World Vision adheres to the following Use of Funds Policy when managing contributions. A portion of all contributions to World Vision International goes to administrative costs and public awareness programmes. Administrative costs include finance and accounting functions, information technology for better efficiency, postal services, telecommunication, human resources, legal and risk management, and fixed office overheads. Public awareness programmes include marketing, creative services and publishing to draw attention to our poverty alleviation activities. The Singapore Government allows registered charities to deduct a maximum of 30% of all donations for administrative costs. World Vision International’s stewardship mandate is that administrative and public awareness costs should not exceed 20% of all donations received. As of our latest financial audit, our total expenditure was 16.7% of total funds raised in FY18. 83.3% of funds raised went to programmes that impact our beneficiaries.